Alternate Reality Games (ARG) are a transmedia experience, an experience that takes place across multiple platforms, formats, and locations. Here is why they are the ultimate blended learning experience. What Does It Mean To Use Alternate Reality Games For Corporate Training? It’s late on a dark, warm summer evening in your new city and the first night of your new life. You just attended a welcome reception for new arrivals to the city held by a mayoral candidate looking for support in the upcoming election. You leave the event with a full stomach and an appreciation for the candidate’s views, even if he is a politician. You return back to your new home ready to put yourself and the first day of your new life to rest. As you walk through the lobby of the building you now call home, you notice the candidate’s posters on the walls, as you did when you left the building just hours ago. But, there’s something different now. As you approach one of the promotional posters you read “Don’t trust him, he’s a fraud” on the right side of the poster and see a faint red ‘X’ marked overtop the entire piece. In the bottom left you read “Big Yellow Taxi”. Before leaving the reception you volunteered to help staff the candidate’s booth at the upcoming community fair. Now you’re reading that he’s a fake. Who defaced the posters? Why is the candidate a fraud? What should you do next to explore this mystery? This scenario could be played out in a book or a movie or an entertainment game, but it could also be part of a corporate training event for new employees or a new student orientation for college freshmen. Businesses and universities are using Alternate Reality Games (ARGs) with scenarios like the one described above for blended orientation, training, and collaboration exercises. They are using ARGs to take advantage of the story, collaborative gameplay, and the combination of physical world and digital experiences as part of learning activities. Players must discover facts, find resources, and collect assets to compete in the game and, by doing so, they evaluate information and data, connect with new people, and learn new skills. ARGs are a transmedia experience, an experience that takes place across multiple platforms, formats, and locations. There are elements of eLearning, computer games, geocaching, scavenger hunts, live action role-playing, and social learning in Alternate Reality Games. But, an ARG is not one of those activities exclusively: An ARG can be what you need it to be to fit your audience, your goals, your culture, your budget, and your creativity. That’s the great thing about Alternate Reality Games. They are flexible gameplay environments that not only can be custom designed, but can be adjusted during gameplay to react to the way in which players play the game. They are the ultimate blended learning experience. Active learning occurs in the learner-centered ARG experience through interpreting clues, solving puzzles, completing scenarios, and engaging in other problem-based learning activities. Learning is more deeply constructed by learners as they interact and collaborate with peers to complete ARG activities. The multimodal ARG environment also creates learning benefits. Players can experience and interact with concepts in a variety of formats; text, audio, animation, video, social media, etc. The multimodal experience creates variety, which can enhance learner attention and motivation, as well as present opportunities to meet the learning preferences of all participants. The multimodal ARG design also presents opportunities to use the best medium for the message; perhaps even print or live actors depending on the communication goal and gameplay environment. In the “Que Syrah Syrah” ARG  created by Tandem Learning for Constellation Academy of Wine, learners practiced data analysis, relationship building, and other selling techniques with fictional hotel customers. Players used descriptions of hotel characteristics and information about target customers, menus, wine lists, and sales data as they interacted with customers in various sales scenarios. The goal was to improve the performance of more than 350 field sales managers in selling Constellation brands and positioning those products effectively among competitors. Participation in the game was voluntary, but about 84% of the sales force participated in the ARG. Learners thought the game challenges, “felt real”, and represented exactly what they faced in the field. The sales force asked to continue the training for future learning initiatives. 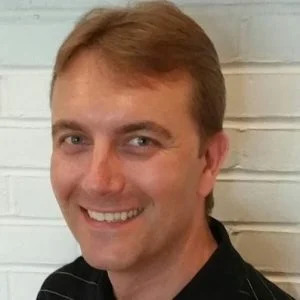 The “I Love Trees ARG” was created by the Center for Advanced Entertainment & Learning Technologies at Harrisburg University for the PA Educational Technology Expo & Conference (PETE&C) and Powerful Learning Practices (PLP). In the game, participants took on the persona of a new Principal at West Side High, whose superintendent has asked for research on PLP and to determine how the techniques can be integrated into the school district. The players were tasked with growing the school’s tree of knowledge by advancing their understanding of PLP. Players gathered clues, completed puzzles, networked with vendors, and discovered information to grow the PLP tree of knowledge for West Side High. Watch an intro video for the I Love Trees ARG. The goal was to discover Powerful Learning Practices (PLP); reflect on evidences for change in education; redefine teaching practices that take advantage of new tools and technologies that are enabling change; and make connections to impact professional learning. One hundred and eighty-two (182) conference attendees participated in the game and were introduced to PLP. The Spring Revival ARG  created by HT2 for Warwick Business School had players access a company website, email with virtual employee characters, call live telephone lines, and interact with live actors in the role of employees and leadership to come up with a plan to save a failing water company. The goal was to include experiential learning for the induction week of the Postgraduate Diploma in Applied Management at Warwick Business School and to motivate players to learn more about the models and theories that they need to leverage in order to create better businesses. HT2 reported increased engagement, collaborative learning, discovery learning, and positive student feedback about the immersion of the gameplay. An alternate reality game (ARG) can be a powerful learning tool regardless of the domain and level of learning that you are targeting. Better than meeting the expectations of traditional models of education based on Bloom’s Taxonomies is the ARG’s ability to connect to new learning design paradigms. 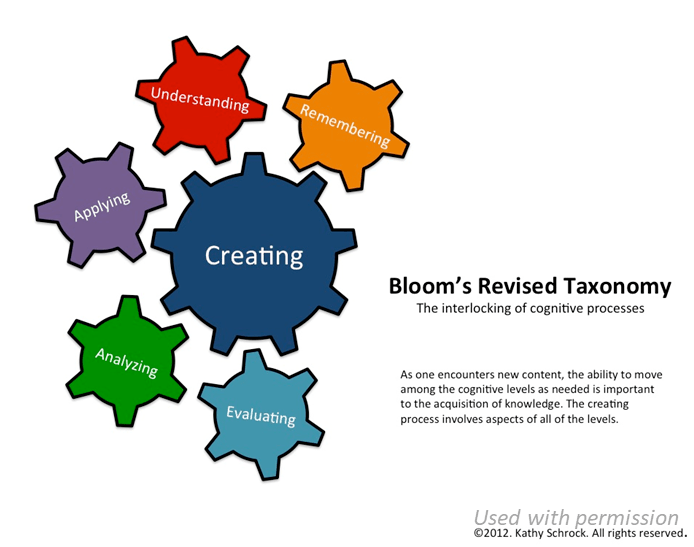 One such paradigm shift is represented in the Schrock’s Gears interpretation of Bloom’s Cognitive Taxonomy. Whereas traditional applications of Bloom’s Cognitive Taxonomy put emphasis on remembering before understanding; before applying; before analyzing; before evaluating; before creating, Schrock’s gears  represent Creating as the primary cog around which all other levels of learning can be experienced. The gears represent a more fluid movement among the levels of learning throughout the learning experience, versus a linear approach to learning, one level before the next. The problem- and story-based nature of ARGs create opportunities for a more fluid movement among the levels of learning, versus starting with didactic learning and ending with creation of new concepts or products (if there’s ever time left for participants to Evaluate, Analyze, or Create at the end of a traditional training session). Most online learning is very content-focused and a very isolated experience. Organizations looking to get more out of their eLearning initiatives might consider ARGs for developing and practicing skills in training and for promoting the collaboration and networking that takes place in an ARG. Employee engagement is another challenge that most organizations are facing. Games can engage employees in the organizational goals and their own development in ways that other mediums cannot. Games present incremental challenges and ongoing feedback that increase motivation and self-efficacy. An Alternate Reality Game can be an embedded experience that extends the life and benefits of the game-based approach, resulting in longer-term engagement and success. An ARG cannot be the only tool in an engagement strategy, but it can be a very immersive way to kick off an engagement campaign or onboard new employees to increase the level of engagement at the beginning of employment. Innovation is another challenge in today’s workplace. An Alternate Reality Game can free the workplace from the shackles of the established training design, implementation and completion; potentially inspiring innovative thinking at all levels of the organization. The design team will think differently about training solutions. Employees will think differently about learning. New connections will be made throughout the organization as a result of networking in the game. The game itself might even focus on solving a real business problem, leading to idea generation in the game that can be applied to improve the organization. The table below presents some scenarios for using ARGs to increase employee engagement, increase collaboration, optimize training time, develop skills, and fuel innovation. Increase Teamwork and Collaboration Employees create a Knowledge Management taxonomy that is the basis for a new language that will allow humans and robots to work together. Optimize Training Time A month prior to safety training, staff members are asked to identify the common thread among several accidents at a production facility. Are they sabotage, faulty equipment, inaccurate safety procedures, inattentive workers, or something even more dangerous? Employees keep a log and a list of “who dun-its” as they investigate safety incidents and bring the materials for use during the safety training. Increase Skills Salespeople try to uncover the identity of the perfect customer by researching data and sharing stories with each other about what qualities make a good prospect. Fuel Innovation Prior to a national managers meeting, it’s announced that the company is moving the corporate offices to Mars as part of a worldwide re-colonization effort. The managers must submit ideas for how the company will establish itself and consider changes in facilities, organizational structure, operations, products; everything the company does. Other overarching benefits of ARGs include increased learning context and increased learning exposure. Like many immersive learning solutions, ARGs create context for learning. A survey of Learning and Development professionals  indicated that only 34% of trainees apply what they’ve learned to the workplace one year after a training intervention. Without context content is passive, disconnected, and not likely to have an impact on workplace performance. 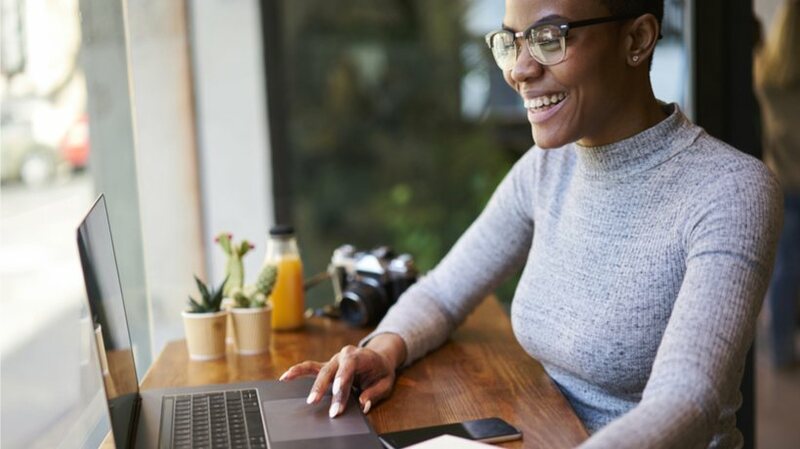 When learners see the connection between content and their work through immersive learning, they are more likely to transfer the skills they develop to the workplace. Learning doesn’t happen at a moment in time. New knowledge, skills, and attitudes are built over extended periods of exploration, practice, feedback, and reflection. Most classroom and online training is designed as a one hour, one day or one week experience that takes the learner away from the workplace. ARGs can be integrated into work and life activities throughout the day and take place over an extended period of time. Assimilating learning into work can create an atmosphere where there is no difference between the two; where employees are always working and always learning (a learning organization). Blended learning can mean many things to many people. But, Alternate Reality Games are one of the most robust blended learning solutions - a combination of mediums, game design, and immersive learning, not confined to one space or time. In addition, an ARG is a great way to introduce game and immersive learning concepts into the company culture in as big or as small a way as needed (or allowed). Consider an alternate reality game strategy for your next blended learning solution and realize the benefits of active learners, immersive experiences, problem-based activities, and learner collaboration.